Moving into your new Springs luxury apartment home is a perfect time to start fresh and rid yourself of some unwanted baggage, both literally and figuratively. When you pack the moving truck, save time and money by not taking the following items with you. 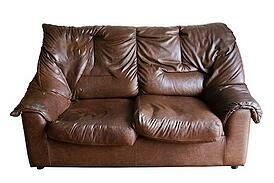 Do you really need to bring that worn-out couch or scratched and dented dresser along? Furniture pieces, especially those made from wood, are the largest and bulkiest items in your belongings. Decide which pieces have seen better days and sell them on craigslist or donate them to charity. Canned goods are less expensive to replace than move, while transporting frozen foods can result in spoilage. Plan to use up as much as you can ahead of time, and donate any remaining non-perishables to a local food bank. The weight of books adds up quickly. It takes only a few to make a box too heavy to carry. How many of them are you actually going to reread? Choose a select few and donate the rest to a library, or invite some friends over and share the wealth. CDs and DVDs aren't heavy, but they take up a lot of room that's unnecessary thanks to the move to digital. Put them in (cloud) storage, then take them to a used record store or resale shop. Do you have any posters, prints or other wall hangings that have followed you around since college? Take advantage of the opportunity to add artwork that more accurately reflects your current tastes. Are you finding it difficult to get a truly refreshing night of sleep? If your mattress is more than 10 years old, that could be the culprit. Arrange to properly dispose of the old one (do not leave it by the apartment dumpster) and upgrade to a comfortable new model when you get to your new apartment home. You might also consider donating old sheets, pillows and blankets to an animal shelter. Our Springs luxury apartment homes come with a full suite of modern kitchen appliances, so there's no need to hang on to any old ones you may have. Why not pay it forward and help others in need by donating them to a worthy charity? Each one of our Springs Apartments homes includes a patio or balcony, but in most cases it's easier and less expensive to purchase new outdoor furniture, potted plants, etc. than it is to move your current items. Share your best moving tips with us in the comments!